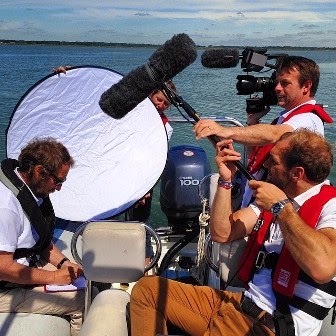 Go Media Video has been working with world-leading marine electronics manufacturer, Raymarine for many years. 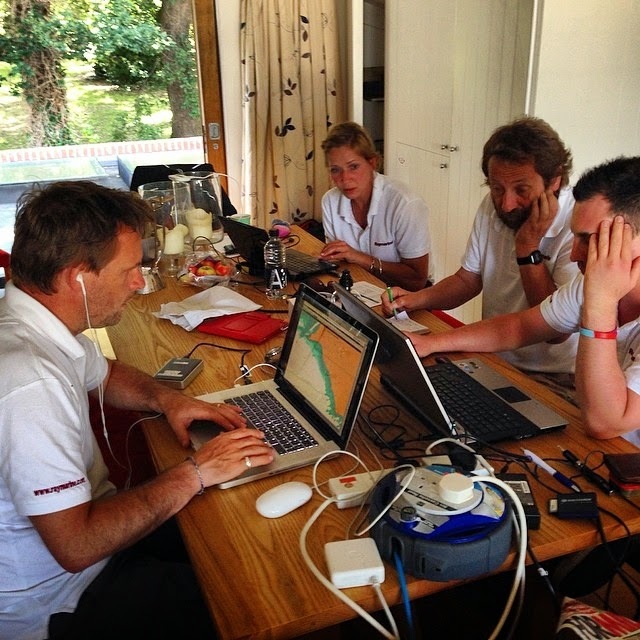 One of the highlights of the year is working with them on the weather briefing for the J.P.Morgan Asset Management Round the Island Race, one of the largest yacht races in the world and the fourth largest participation sporting event in the UK. 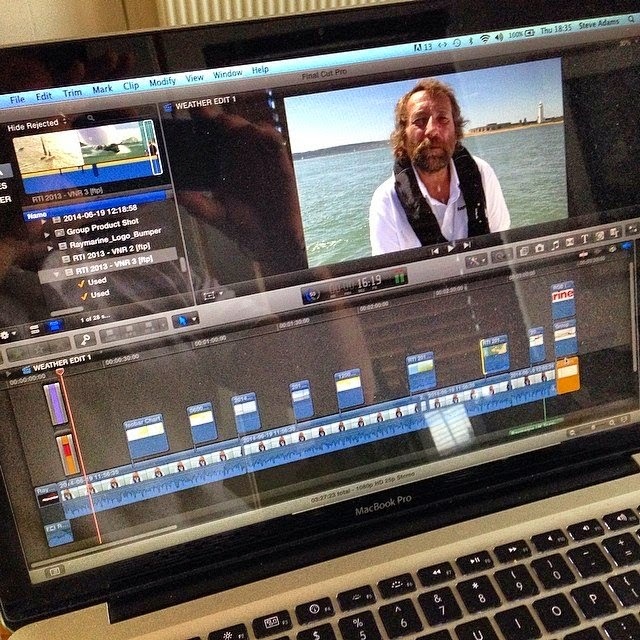 In the days leading up to the race we work with top sailor and meteorologist Chris Tibbs. Chris has sailed around the world many times and works with some of the world’s best sailors advising them on routing and weather tactics. Chris presents a series of Forecasts and tips which we shoot at various locations on the Isle of Wight and are then edited and uploaded by the end of the day. Over the past few years we have learnt a lot doing this job. Huge amounts of preparation go into this project and we have learnt that the pre-planning time can often be as crucial as the actual shooting process. The whole crew stay together ina shared house for the duration of the shoot and this gives us great flexibility and camaraderie whilst working. On the eve of the race we present a live weather briefing on stage at the Island Sailing Club, organisers of the race, which is also streamed live on the Raymarine website. Our experience of live production means we have always delivered a high quality product for both the live and internet audience. As it happened the 2014 race, which had over 1500 entries, saw very little wind but the thousands of sailors who took part at least knew in advance to carry plenty of sunscreen! The pre-live videos contained animated graphics and screen grabs from Raymarine equipment - we enhanced these in the edit to highlight important areas of the image. Pre-planning - gathering new graphics, music, name straps, equipment etc. Today's technology means we can travel light but have all the equipment we need - this means we can deliver a fast turn around but always maintain a high quality production. If you need advice on how to create a fast turn around location edit please give us a call and we would be only too happy to show some examples of our work and how this process could work for your production too.